we are your leading private tour operator in Salzburg and Central Europe! Be special during your trip to Austria! … we create great memories to you and focus on you! … we do the best to guarantee you a great and unique experience! You have an idea and want to realize it? We are here for you! Be Special Tours is the company with the reputation for personal touch and focus on its’ guests at the highest level of travel. We offer you a huge variety of different tours, services, private and unique tours, tailor-made tours and trips. At a glance: We are as individually as you and focus on our guests, not on the quantity. 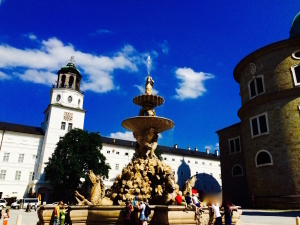 Enjoy Salzburg and Austria in the best possible way.